There aren't a ton of great Android tablets options out there, but one of the best is the Samsung Galaxy Tab S3. The Tab S3 includes the S Pen along with the stylish hardware we've all come to expect from Samsung. 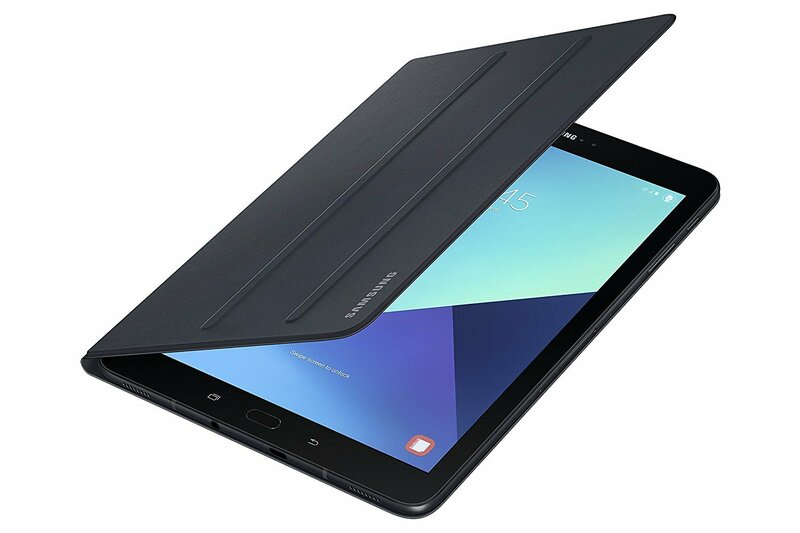 With all that you can do with this top-tier Samsung tablet, you're going to want to get a case to keep it protected for unexpected drops. Here are your best case options for the Galaxy Tab S3! 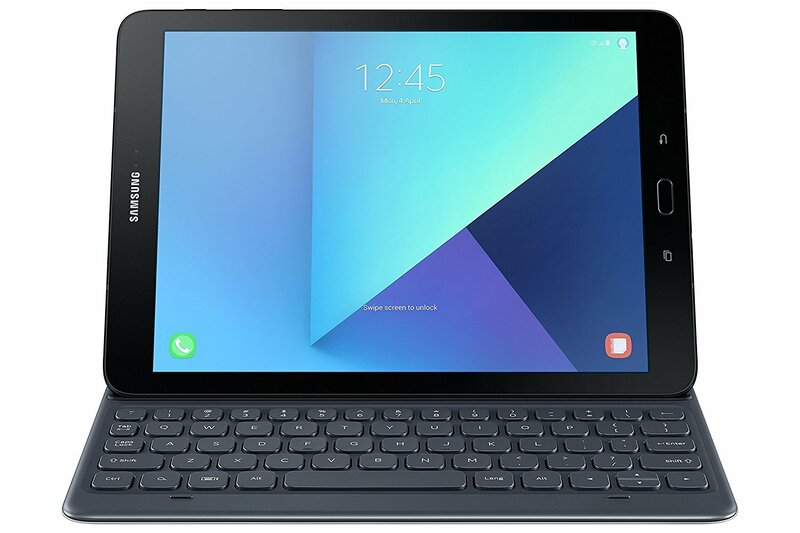 Offering protection as well as functionality, this case includes Samsung's latest keyboard, featuring chiclet-style keys, along with intuitive POGO pin connectors, which let you set up your tablet in keyboard mode right quick. 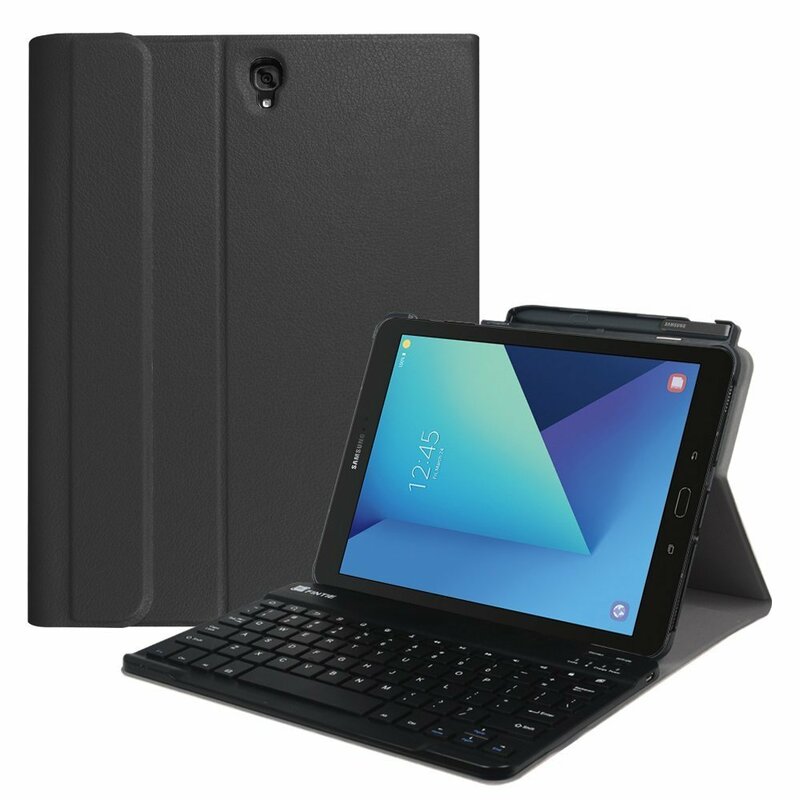 Samsung offers a fairly standard look for this keyboard case, featuring a white folding back panel that provides protection for your tablet, while the keyboard is made of gray, physical keys. Ehis is the classic folio-style case that offers full-screen protection for storage and travel with a little kickstand-style stand for hands-free media watching. Because it's designed by Samsung, it includes some really handy features like a magnetic connection that keeps the cover closed and also turns the screen on or off when it's opened or closed. 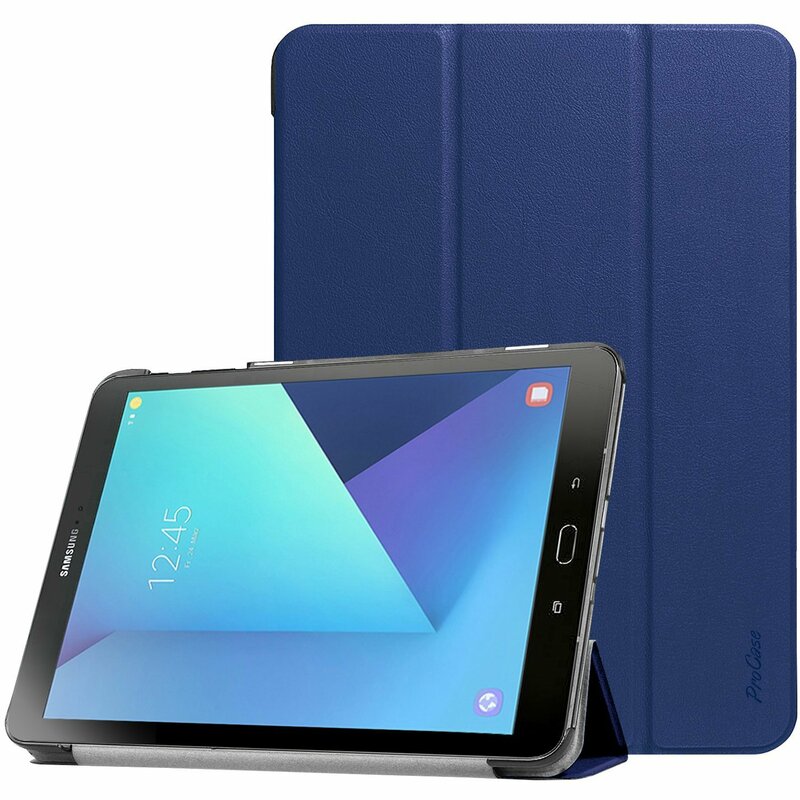 This awesome case features a hand strap mounted on a swiveling mount that lets you firmly hold onto your Galaxy Tab S3 with less grip while still ensuring you won't drop it. It also includes a shoulder strap that you can clip onto the case for easy carrying when you're on the go. The case itself is dual-layered with a silicone and polycarbonate shells working together to provide excellent protection for your tablet. For those looking for a keyboard case at a discount price, Fintie has got you (and your tablet) covered. Unlike other third-party Bluetooth keyboard cases you might have seen, Fintie used classic hard keys like you'd find on a laptop in lieu of those grody silicone keys that can get grimy and gross real quick. 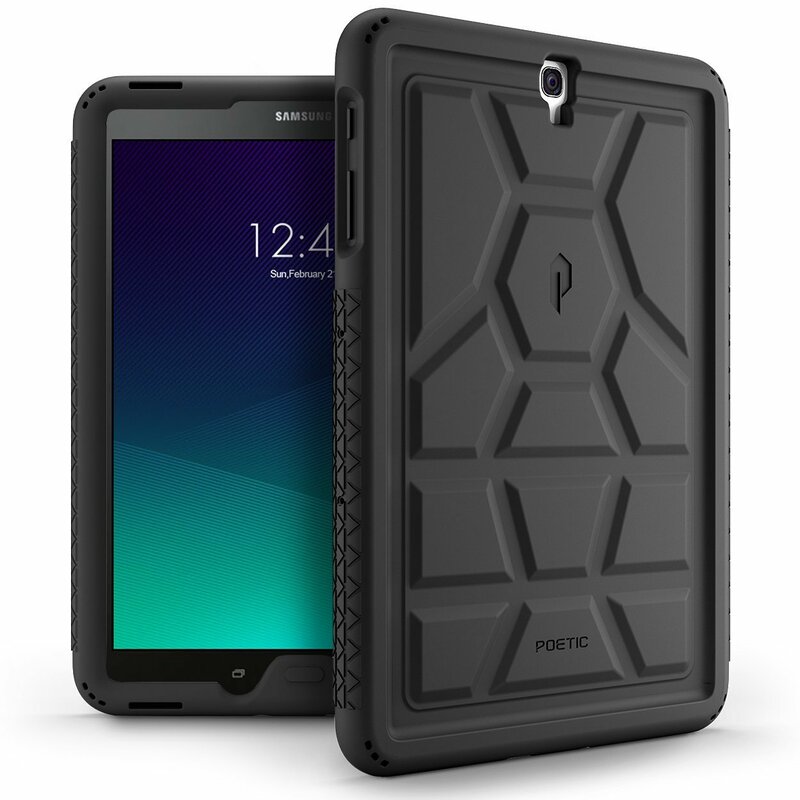 You don't need to spend more than $15 for a reliable case for your tablet. Check out this sleek and stylish case from ProCase. Its a basic folio-style case with a synthetic leather finish. The cover can be folded over to create a kickstand for watching your favorite Netflix shows. Much like a standard case for your phone, the TurtleSkin case is made of silicone material that's both grippy and very shock resistant. On the back, it's got a unique pattern of raised supports helps with grip (and also explains the TurtleSkin name). Most importantly, there are air vents that help keep your Tab S3 cool. SUPCASE offers full-body protection for your tablet, which includes a protective front casing with a built-in screen protector and a raised bezel to keep that beautiful screen protected. 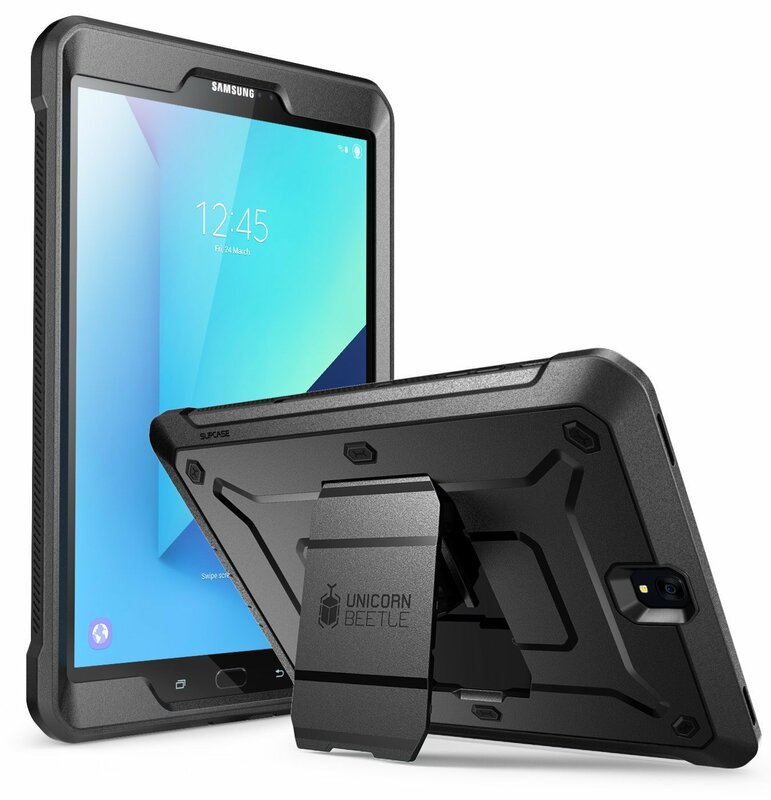 On the back, a dual-layer hybrid casing designed with a shock-absorbing TPU bumper will keep your tablet well-protected from any accidental drops and also features a pop-out kickstand for hands-free viewing. Update September 2018: Updated pricing information. These are your best options for the Galaxy Tab S3!